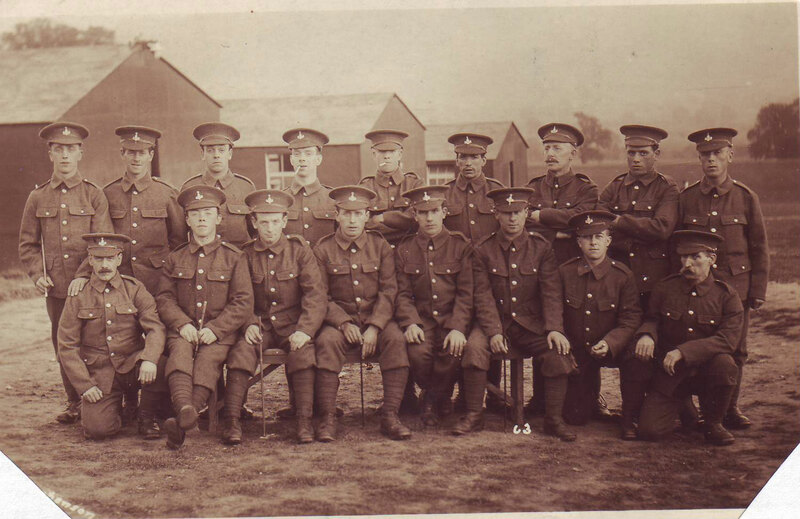 Select the thumbnail image above for a larger photo of Private Lawrence with fellow soldiers which opens in a new window. Front Row third from left. is Walter Lawrence from 154 Victoria Road Middlesbrough. His Army number was 24767 attached to C Company (13th Battalion). This info is from his Army pocket bible. He was wounded in France in July 1916 and again in Italy. I have a photo of him in pith helmet and putees on his return. He returned home to manage a Hintons Grocery branch in Stockton but died in 1931 due to complications associated with his wounds which never fully healed.